Winter is such a beautiful season. For many years I always pushed through winter with activities like it was the middle of December. All go-go-go with no stopping. Today’s very different and just as the weather shifts and changes each season so does our bodies needs nutritionally, emotionally and physically. It’s completely naturally to pick “healthy habits” and stick to them year round, but how does your body respond to those year round? 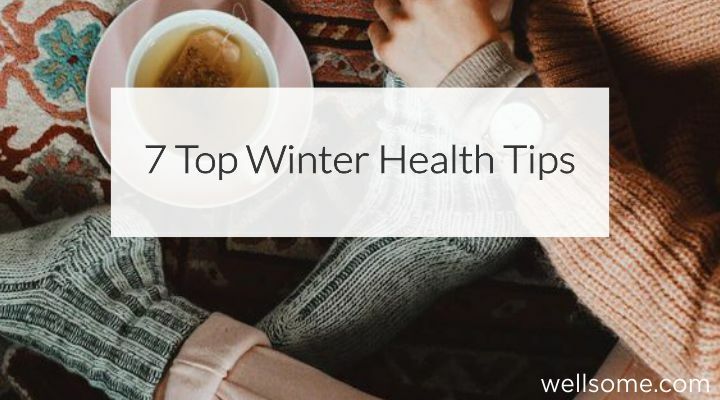 Here are some of my favourite winter health tips to staying balanced and connected during this chilly season. Water is the most important element of Winter. Stay hydrated is important during this season as it replenished and nourishes the key yin and yang organs of winter. It can be difficult to drink water due to it being cold. So try to stick to room temperature water and warm herbal teas. Winter is all about dormancy and when you work with the elements and each season specifically you’ll begin to realise how Winter is a time to slow down, tune in, say not to some parties and yes to staying inside, staying warm and taking some time out for yourself. Of course Netflix and chill are ideal, sided with a nice herbal tea. Eat foods that are richly available in season, they’ll be less expensive, in more abundance and most likely exactly what your body wants. Root vegetables are all in season at this time of the year and your body also craves the heat they can create within. Be sure to add root vegetables, greens, and beautiful spices such as garlic, turmeric, cardamon, cumin and cinnamon to your cooking. Know that we know root vegetables are in, as are greens like silver beet, spinach, fennel, leek, kale, cabbage and broccoli. Now how do we cook them – in winter the best cooking methods are slow cooks, stews, and crockpots. Think like how your grandmother use to cook in winter. Stick to eating nourishing warm foods for all meals of the days. As much as your mind may crave a smoothie, how could we possible turn that into a juicy morning soup or broth? As your body temperature drops down, adding protein to your meals (plant based or meat based doesn’t matter) your bodies metabolism and fire will continue to burn and keep you warm. It also can decrease sugar cravings and stabilise your blood sugar levels. Think black beans, kidney beans, chicken and lamb for example. The core emotion of winter is fear and when you’re stressed and high in our flight status our body is all wound up. Winter is a Yin season, so incorporating yin activities at this time of year is perfect. Walking, yin yoga, massage, legs up the wall for lymphatic drainage. Basically anything that helps you slow down can reduce stress, reduce cortisol levels and bring you back into balance. With Fear being the emotion for winter it’s common for it to creep in, in excess during winter. Explore where this fear is coming from by connecting with yourself in a quiet space. What does this fear represent? Am I able to release this fear? What would happen if I do release this fear? Learning to allow feeling all emotions and releasing them is a beautiful art and just know that fear will pop up during winter, but what’s most important is how and what can we learn from it. Dive deeper with me into understanding your health through each season to create a new level of health. I have plenty more nutritional, emotional and in-depth guides in my 12 month Ancestral Seasonal Series – ancestral teachings throughout each season to bring you to complete balance and harmony with your body. Join us here.